In the interest of offering a complete picture, I will briefly recap the paraglider’s developmental history before offering a brief history of the system’s life after its cancellation from Gemini. The Rogallo paraglider wing was first introduced in 1960 as a possible landing system for the Mercury program, but it was passed over in the interest of getting an American in space sooner even if it meant using less sophisticated technology. The system was reproposed in 1961 as the possible landing system for Gemini. Without the time constraints that had turned Mercury into a crash program, introducing Rogallo into Gemini had the potential to begin NASA’s move away from splashdown landings. NASA Associate Administrator George Meuller formally removed the paraglider from the Gemini program on February 20, 1964. It was downgraded to a test program; NAA would continue development of the system as stipulated in their contract with NASA, but the end result would never be a paraglider assisted landing. 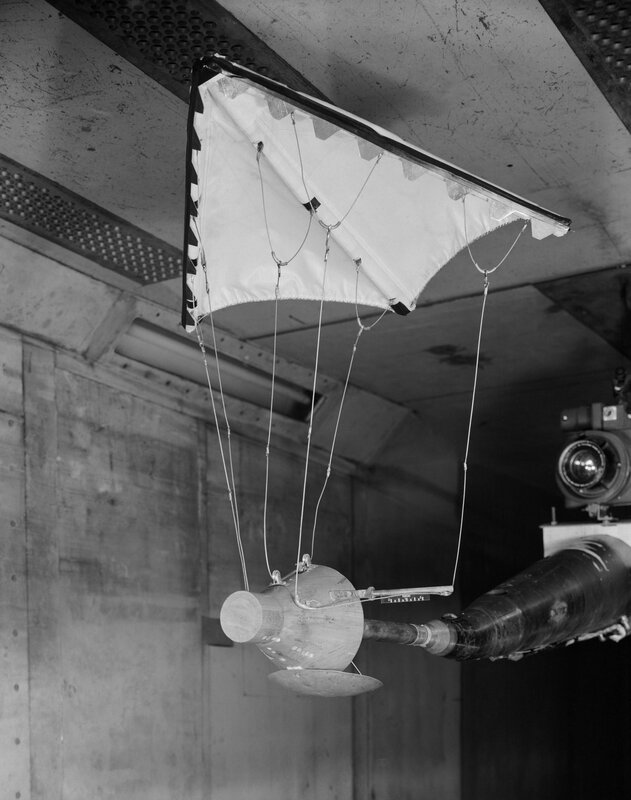 As part of the final development, NAA was given the green light to prove Gemini’s pilotability when the spacecraft was mated with an already inflated Rogallo wing – failure to inflate was the main problem of the paraglider’s development, so testing with an inflated wing was the best alternative. Proof of pilotability called for a full-scale drop test. The Gemini-Rogallo spacecraft was brought by helicopter to an altitude from which the NAA pilot inside would land the spacecraft as though coming from orbit. Like the Paresev tests, the first flights would be tow tests before the pilot attempted a free fall test. 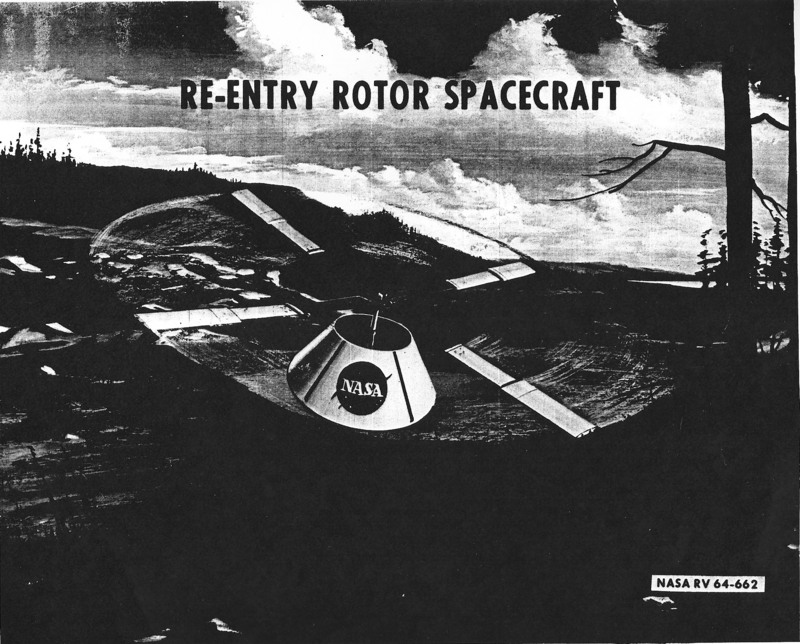 On August 7, Hetzel attempted the first free flight of the Gemini-Rogallo configuration. The helicopter lifted Gemini to altitude without problem, but as soon as Hetzel severed the towline the spacecraft entered into a violent spin and he was forced to eject. 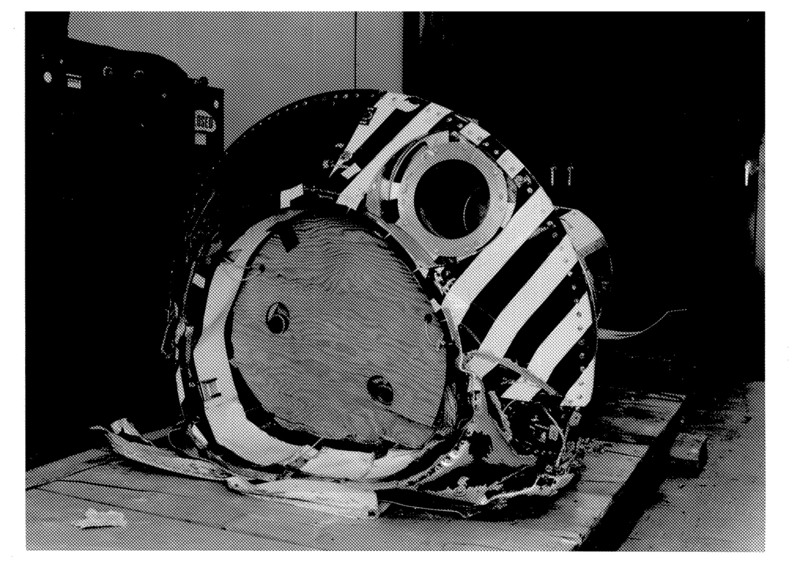 Hetzel broke a rib during the failed test; the spacecraft sustained only minor damage. The system was subsequently revised and NAA put the Gemini-Rogallo through a series of radio-controlled half- and full-scale landings over the next five months. The next manned test flight of the Gemini-Rogallo took place on December 19, 1964. Donald F. McCusker severed the towline at altitude and executed a successful five-minute glide before hitting the runway at close to 30 feet per second – landing at such a high speed constituted a barely-controlled crash. McCusker sustained injury from the shock of his hard landing, prompting NAA to beef up the Gemini landing gear and shock absorption of the pilot’s seat. In all, NASA had sunk four years and substantial funds into the development of the Rogallo wing with the hopes of a land landing for Gemini; the program cost close to 165 million 1960s-dollars on its development – nearly 1.2 billion 2010-dollars. Letting such extensive and costly research go to waste was not an option. And so NASA began finding other applications for the Rogallo wing. 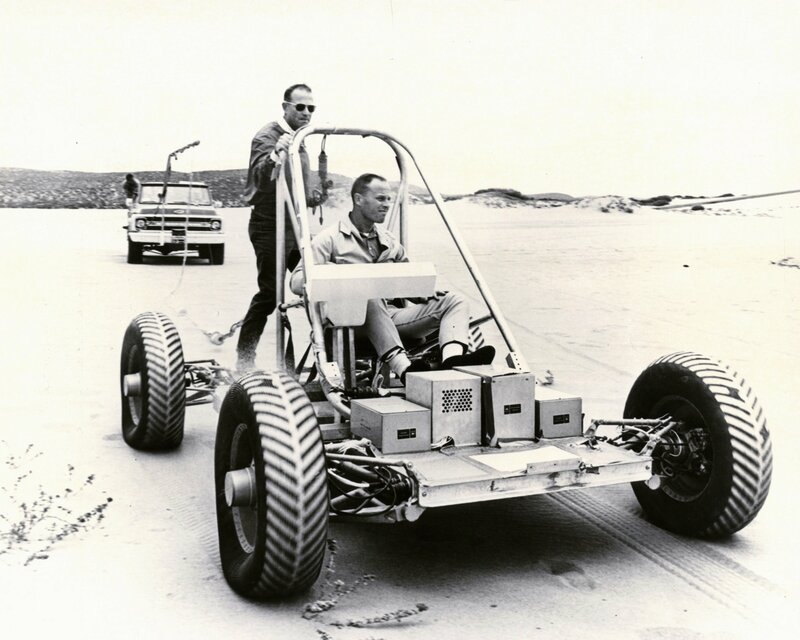 At this time in the mid-1960s, it was the most well developed pilot-controlled land landing system the organization had, and splashdowns continued to be a costly and complicated landing method. NAA’s manned drop tests belatedly proved the system was viable, and general consensus was that more time for development could yield a flight-worthy Rogallo landing system. Another contender was once again the Rogallo wing. Langley engineer Mac C. Adams, in a report covering the possible applications of Rogallo to Apollo suggested NASA conduct an intensive in-house research program to finally produce a working system. He concedes, however, that Apollo is unlikely to land with the paraglider. The system’s development is too far from completion. The end-of-decade deadline for a lunar landing couldn’t wait for a land landing system anymore than Gemini could. Because AAP and AES were follow-up programs to Apollo, NASA would finally be without time constraints. These new programs offered the organization the freedom of time it needed to develop a working Rogallo wing. With this long-term program in mind, NASA reopened contracts surrounding the paraglider. In 1967, the organization contracted Northrop Ventura – the sub-contractor that had built the sails used the in North American’s Rogallo program – to continue the research and development of the paraglider. The goal of the contract was not far from the original goal of the first Rogallo program: to establish the suitability of the system for pilot-controlled landings in a shallow glide. Two years after Northrop Ventura was awarded the contract, development on the paraglider had stalled. In a 1969 internal letter, Director of the Space Vehicle Division of NASA’s Office of Advanced Research and Technology Milton B. Ames, Jr. wrote that the AAP was no longer considering the paraglider as a landing system. Although he was personally in favour of the paraglider, NASA, he wrote, was moving in the direction of reusable shuttle-type vehicles for its next generation of spacecraft. 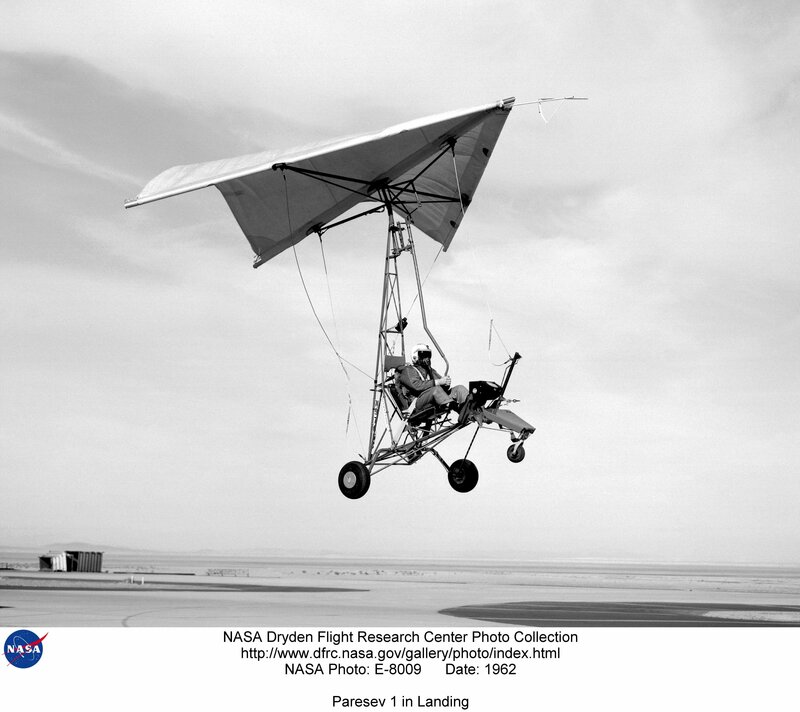 Compounding the problems of this second paraglider program were the funding cuts to NASA in the latter half of 1969. In the mid 1960s the organization received over 4 percent of the US’s annual GDP. But this was unsustainable amount of money to dedicate to the space program, particularly after the success of Apollo 11 marked the completion of Kennedy’s goal. Funding was further cut after the near-loss of the Apollo 13 crew in April 1970. The AAP was eventually cancelled altogether, and the Apollo leftovers were put to use in the short-lived Skylab program; NASA’s first attempt at an orbiting laboratory comprised three missions between 1972 and 1974. The final Apollo hardware was put to use in 1975 on NASA’s end of the Apollo-Soyuz Test Program – the first cooperative mission between the Soviet Union and the US. 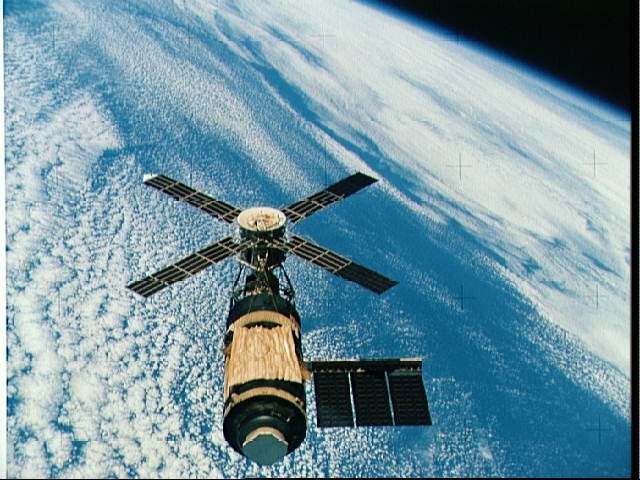 Skylab (right, in orbit) and ASTP never answered more than an immediate need, and their greatest purpose may have been to keep America in space between Apollo and the space shuttle. The decision to pursue the space shuttle effectively put the final nail in the paraglider’s coffin as far as its career with NASA was concerned. There was no hope for the Rogallo wing’s continued development; by 1976, development on the shuttle was well underway and it was only three years away from its first unpowered landing tests. While NASA was gradually moving away from the paraglider landing system, the US Air Force remained interested in the land landing possibility for its own manned spaceflight program. The USAF had long been interested in the military potential of space. Dynasoar – the never realized follow-up program to the X-15 that is often referred to as the precursor to the space shuttle – was formally cancelled on December 10, 1963. That same day, the USAF announced its new space program. The Manned Orbiting Laboratory (MOL) or Gemini B program was based on extending NASA’s Gemini program with the goal of proving the necessity of a military presence in space under the guise of proving man’s ability to work in space. Bur the Rogallo wing fell out of favour with the USAF as it did with NASA. In a 1966 letter, USAF General Bernard A. Schriever draws the obvious parallel between Gemini and MOL. 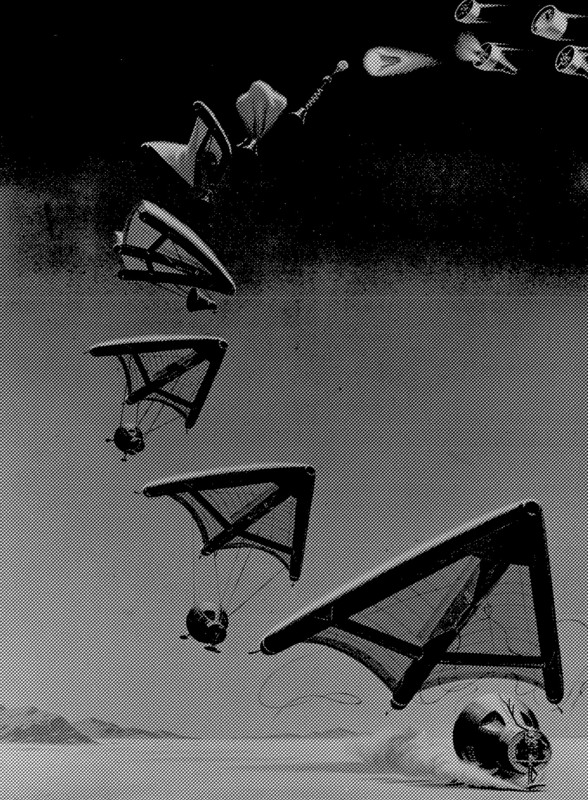 The constant problems Gemini engineers had with the paragalider were indicative of the trials MOL engineers would face with the same system; indeed, each program ran into the similar developmental failures and schedule setbacks. Schriever admitted defeat. A successful paraglider would require substantial redesigns and testing. While it might take the place of ocean-borne recovery methods, the cost of research and development to that point would exceed the sum NASA had already spent working on the paraglider. It just wasn’t a viable option. The Rogallo wing was never included in MOL, and the project itself never progressed to manned flight. The paraglider was alive with NASA and the USAF for almost a decade. In theory it was the perfect solution to the landing problem – lightweight, pilotable, and wouldn’t require substantial changes to the already existing spacecraft. That a decade of research and development couldn’t yield a successful paraglider landing, however, suggests the problem lies with the design more than the NASA or the USAF’s approach. An inflatable wing meant to act at once like a parachute and a fully controllable glider is a tall order. NASA built new spacecraft capable achieving rendezvous in orbit and landing on the moon, but the Rogallo wing always remained just out of reach. 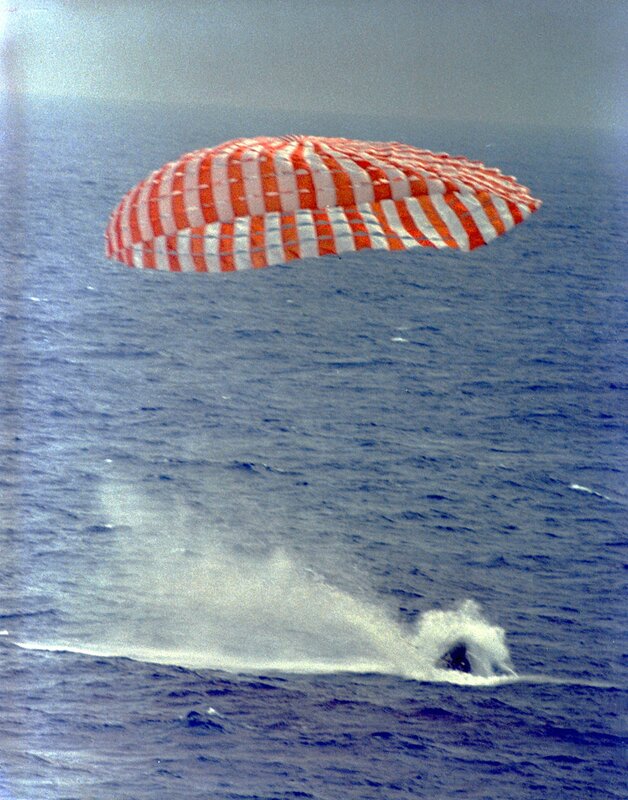 Gemini 9 splashes down, just like every Gemini mission did. 1966. 1. Milton Thompson with Curtis Peebles. Flying without Wings. Smithsonian Institution Press. 1999. 2. David Shayler. Gemini: Steps to the Moon. Springer Verlag. 2001. 3. Virgil I. “Gus” Grissom. Gemini: A Personal Account of Man’s Venture into Space. The Macmillan Company. 1969. 5. B. A. Schriever, “Gemini Paraglider for MOL”. Washington: NASA. 1966. 6. 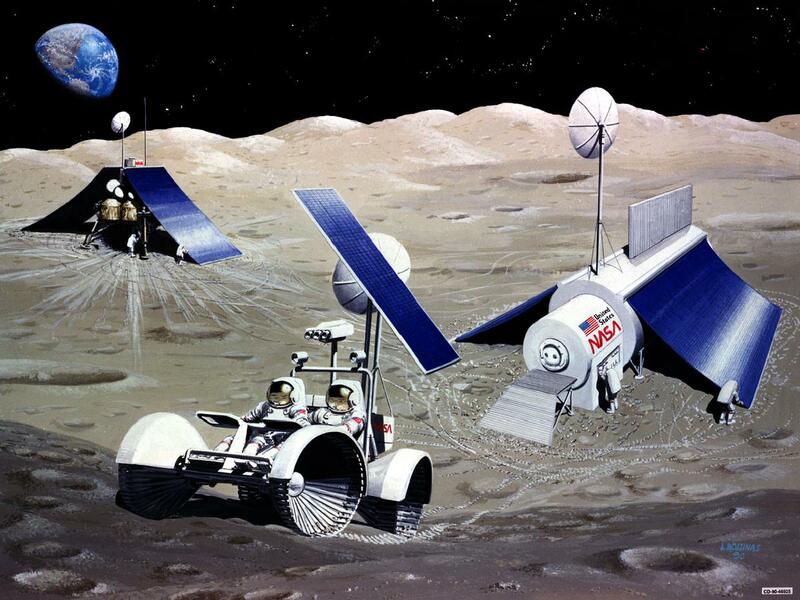 “Apollo Alternative Earth Landing System”, Research and Technology Resume, Washington: NASA. 1965. Very complete follow-up to your previous posts on NASA/Rogallo wing research. I’ll have to do some research on the history of the parasail. I wonder if its development paralleled that of the Rogallo wing? It seems to have worked quite well on the X-38 program. Amy, great article on a fascinating topic.I look forward to reading more! Note that the “artist’s concept of the MOL in orbit. Early 1960s” is not the USAF’s MOL, but a 1960 concept for a non-military “manned orbiting laboratory”, from an era before the time the USAF co-opted that generic title and forever re-branded it three years later. (Yes, that picture is attributed to the USAF MOL project everywhere on the WWW and even in Roger Launius’s book, but the dates don’t match.) The USAF concept under analysis ca. 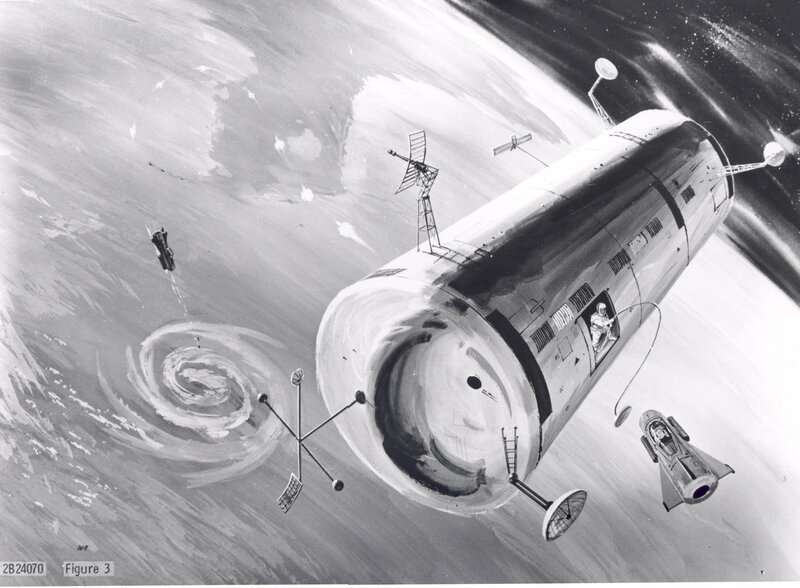 1960 was tentatively called the “manned orbital developmental station (MODS)” but they moved away from “station” because it was intended to be a disposable vehicle. Would NASA Tell Us About Alien Contact? Can a Wood Heat Shield Really Work? What’s the Best Kind of Rocket Fuel? Enter your email address to subscribe to Vintage Space and receive notifications of new posts by email. Was NASA’s First Launch Delay its Most Significant?